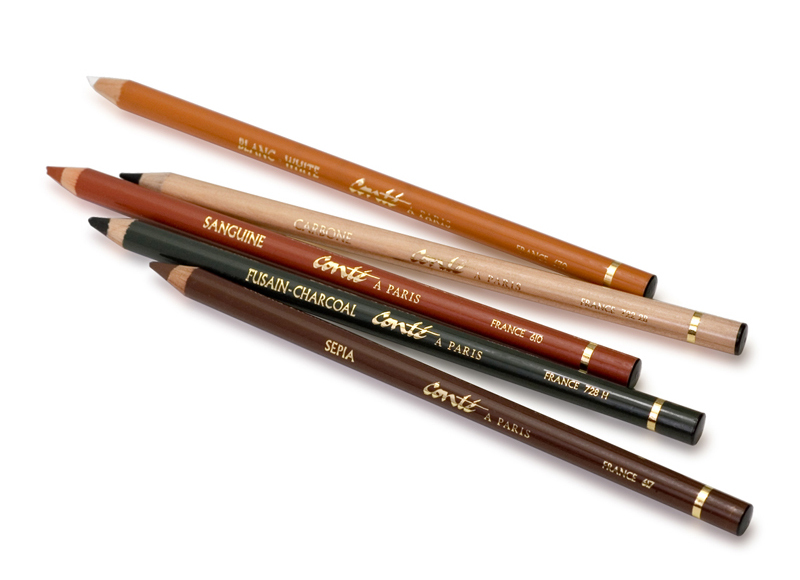 Conté crayons are a drawing medium made of powdered natural pigments compressed into a stick, and are also known as carbon chalk. They lie somewhere between a pencil and charcoal in terms of hardness, with a subtle balance of hardness and softness that allows a range of lines, and are thus used mainly for sketching and Croquis drawings. They usually come in round and rectangular bars approximately 6.5 cm long but are sometimes found encased in wood in pencil form. 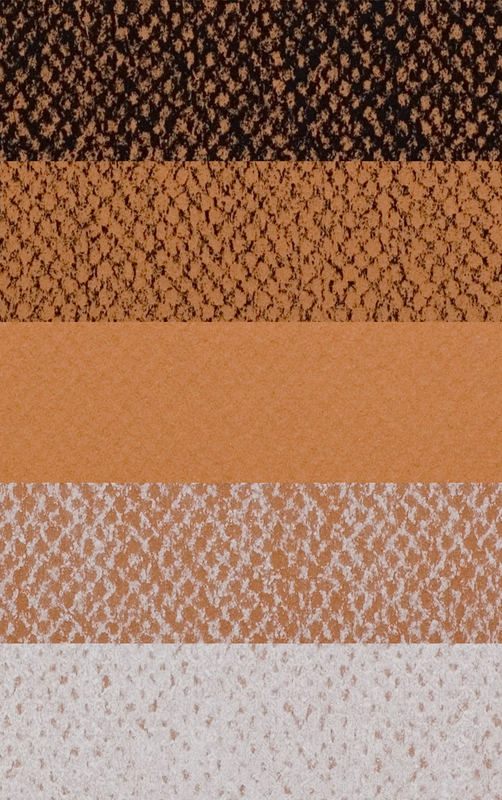 The basic colors are white, black and reddish brown, but some manufacturers also supply brown, gray and various other colors. 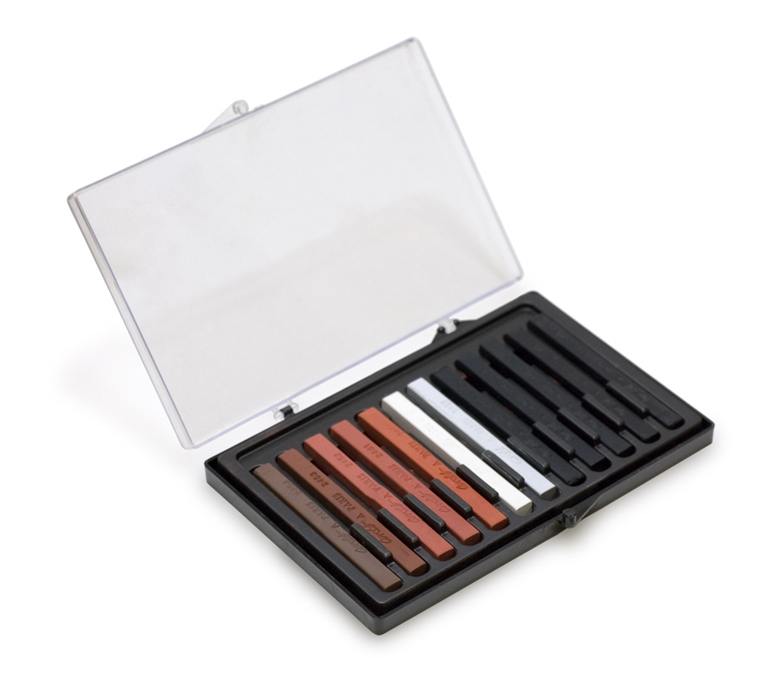 They are manufactured by refining natural pigments such as iron oxide, carbon black and titanium oxide into fine powder, adding clay and cellulose as a binder, pressing into shape in a mold, and baking. 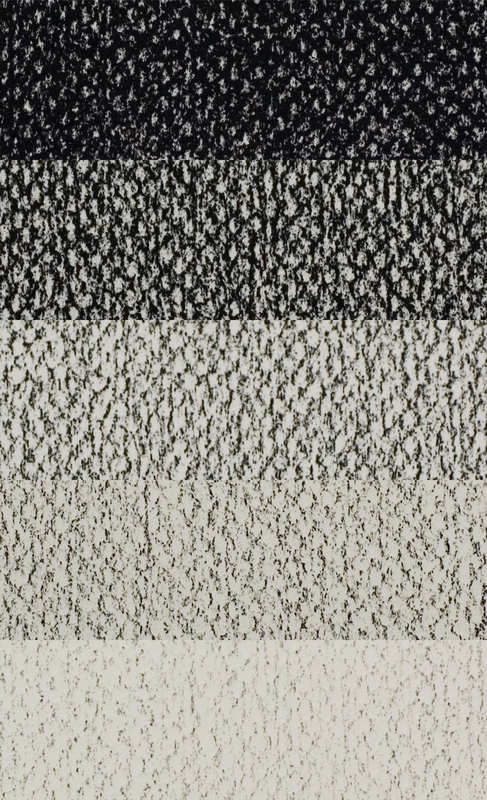 Because they do not contain oil and fixing agents like oil pastels, the lines they produce are powdery and grainy. 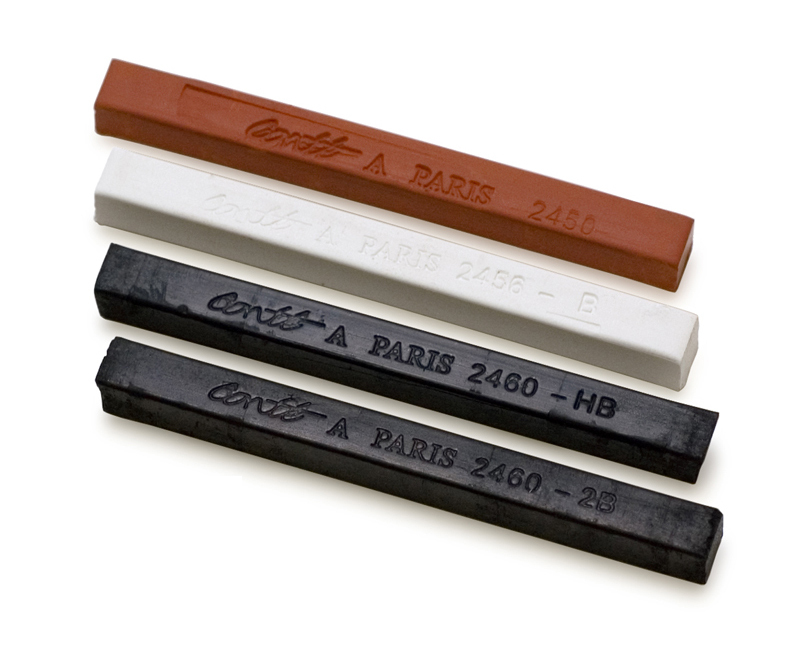 The basic method for producing Conté crayons was developed by Nicolas-Jacques Conté (1755 – 1805), a Frenchman also known for his invention of the pencil. He later founded the Conté company, selling the product under the name “Conté Crayon”, and that was how the product and its name spread. Since the entire crayon is a coloring medium, the artist can use the tip, the sides and all other parts of the crayon to draw with. Normally, the crayon is sharpened or its corner is used when drawing lines. But it can also be used on its side to color a wide area. When using rectangular crayons, the side edge enables the user to draw sharp straight lines, and these can be combined with wider lines produced using the face of the crayons. Moreover, because the colors are grainy and have weak fixing properties, they can be rubbed off using the finger or a piece of gauze to create gradations and blurred effects. 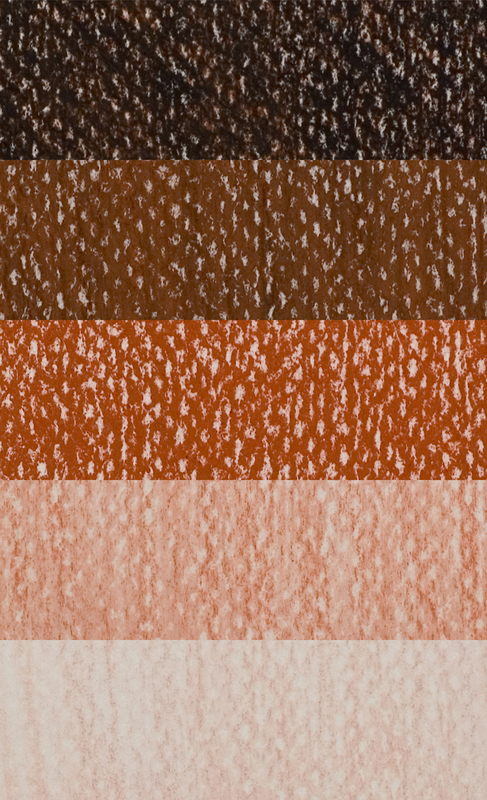 When using various colors of Conté crayons to draw, medium tones can be produced by using colored paper, while the shaded parts can be drawn in using black and reddish-brown crayons and the bright parts using white. This method allows for rich three-dimensional representations and many excellent sketches produced this way have been left by Leonardo da Vinci and other artists. Because Conté crayons do not contain ingredients to fix the colors onto the support medium, exercise care when using since the colors can easily come off from the drawing. Therefore, be sure to use a fixative once the drawing is complete. Also, when framing the picture, use a glass not an acrylic frame. The colors could peel off due to static electricity. Conté crayons can be purchased at art supply and stationery stores.